The recall affects multiple retailers and supermarkets throughout multiple states, including New Jersey and Pennsylvania. Retailers include, but are not limited to: Acme, 7-11, Shoprite and Wegman’s. 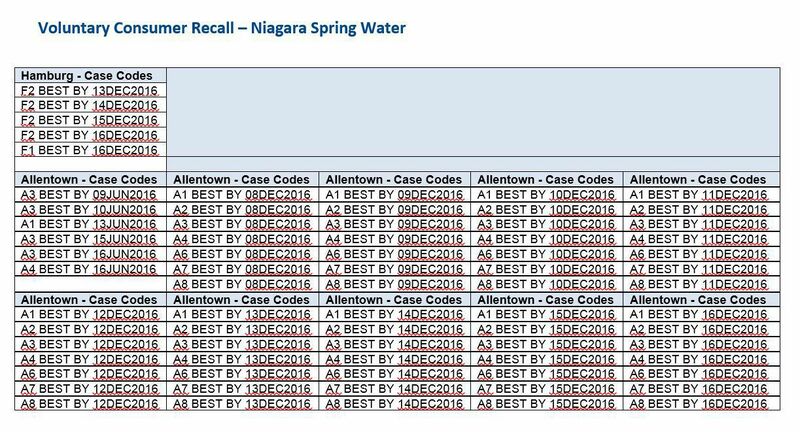 Below are the codes for the cases of water that were affected. Consumers should check their water to make sure the water is not affected. In addition, many summer camps provide water bottles to the campers. Thus, it is important for parents to call the camps to make sure they are aware of the recall and that children are given another water source. Parents should not assume that camps are aware of the recall.